Scheduled Sale Manager is a WordPress plugin for WooCommerce that allows you to easily set up your shop sales. Choose exactly when the sale should start and finish, what product groups will be affected and what the discount will be. 5% off the entire shop? Free shipping on Sundays? End of the year sale on all large T-shirts? It's easy to set up and the possibilities are endless. You choose exactly when and how long the sale is active, which products are affected and what the discounts will be. You can create any number of sales! To simply start a sale without specifying a schedule. Pick the exact start and end dates and times. Pick week days to start and end a weekly sale. Pick days of the month to start and end a monthly sale. Pick dates in a year to start and end a yearly sale. To simply discount the entire shop. Such as anything older than 1 month. To reduce product prices by a specified percentage. To give all affected products the same price. To reduce product prices by a specified amount. To offer free shipping on the sale items. 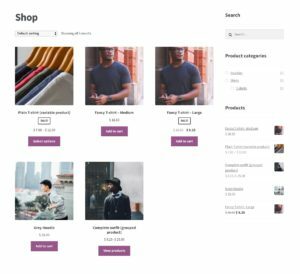 Already own Scheduled Sale Manager for WooCommerce and need help? Click here for support and documentation. Improved compatibility support for plugin "Currency Switcher for WooCommerce". Added compatibility support for plugin "Currency Switcher for WooCommerce". Improved compatibility support for plugin "WooCommerce Product Add-ons". Added the ability to enable/disable sales from the post list table row actions (the links when you hover sales in the post list table). Added compatibility support for plugin "WooCommerce Product Add-ons". Added the ability to use decimal numbers for the discount percentage. Improved compatibility support for plugin "WooCommerce Dynamic Pricing". Added compatibility support for plugin "WooCommerce Dynamic Pricing". Now returning the proper sale prices when using the methods $product->get_variation_sale_price() on a product variation. Fixed inability to submit a shipping address during checkout when a free-shipping sale was applied. 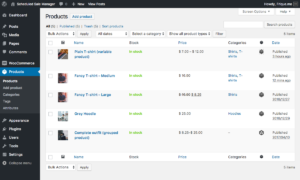 Added support for plugin "Woocommerce Custom Product Addons". Avoid a possible error when a variable product's variation has no price. Now also returning the applicable sale price when calling $product->get_sale_price(). This helps in some themes where a discount percentage is shown on sale items for instance. Products can now be targeted by age. To automatically discount items that are older than a certain timeframe for example. Fix: When changing a sale's post status via quick-edit or bulk-edit, the applicable sales are now properly toggled. Before, this would only work properly via the post edit screen. 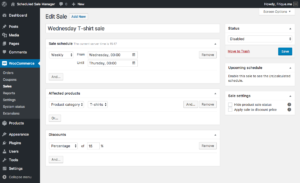 Improved querying of sale products in the WooCommerce sale products shortcode. Fixed some rare product targeting inaccuracies introduced in 1.7.1. Fixed compatibility issue on sites using the Polylang plugin. Now only offering product taxonomies as sale criteria if more than 0 terms exist for that taxonomy. This keeps the criteria list clean of unused taxonomies. Fixed exclusive criteria being ignored when "Everything" was part of the criteria group. Added the ability to target products by tag, and any other existing product taxonomy such as brands if a branding plugin is installed. Now showing hierarchy in the category dropdowns when picking sale criteria. Sales targeting a category are now also applied to all hierarchical children of the category. Fix the possible warning: "A non-numeric value encountered..." in specific situations. Added the (highly requested) option to exclude products by category, attributes or specific products. Added support for the Facebook for WooCommerce plugin. When importing products to your facebook shop, they now include the applicable sale price and sale end date. Note that the product needs to be currently on sale to sync the sale price / end date. The product names in the specific product selection field will now wrap to a new line when long so they don't stretch the field. Added the ability to select variable products (parents of variations) in the specific product multiselect field. In this case the sale will apply to all the product variations. If a variation happens to also be part of another sale, the biggest discount applies. Fix a possibility where editing a sale to add schedule/criteria/discount rows could overwrite existing ones. Improved displaying of upcoming schedule in the sale table. Fix a situation where shipping could be applied to Virtual products when on sale. Fix possibility of "A non-numeric value encountered..." warnings on PHP 7.1+. Tested in WP 4.9.4 and WC 3.3.1. Added admin columns to the sales table to display the sale status and its upcoming schedule. Added the discount type "Fixed product price", to make all affected products a specified price. Not to be mistaken with "Fixed product price discount" which subtracts a specified amount of currency from its original price. You are now able to enter numbers with decimals as fixed product discounts. Added the sale products to the result of the [products on_sale="true"] shortcode, the [sale_products] shortcode and wc_get_product_ids_on_sale() function. Fixed a situation where the timepicker could be broken depending on other active plugins. Added the option to apply fixed product price discounts. Improved - Query performance when analysing wether a product variation is on sale. Fixed - Possible error on plugin uninstallation. Fixed - Issue when using product attributes as sale criteria. Please check and save your sale config again if you're experiencing issues regarding a sale by product attribute. Fixed - WPML: Better targeting of affected translated products when using the "specific products" criteria. Improved - WPML: Better handling of category/attribute criteria when these are also translated and/or when the translated product has different categories/attributes than the original language. Fixed - Possibility of date range from/to relationships getting confused when there were multiple date ranges. 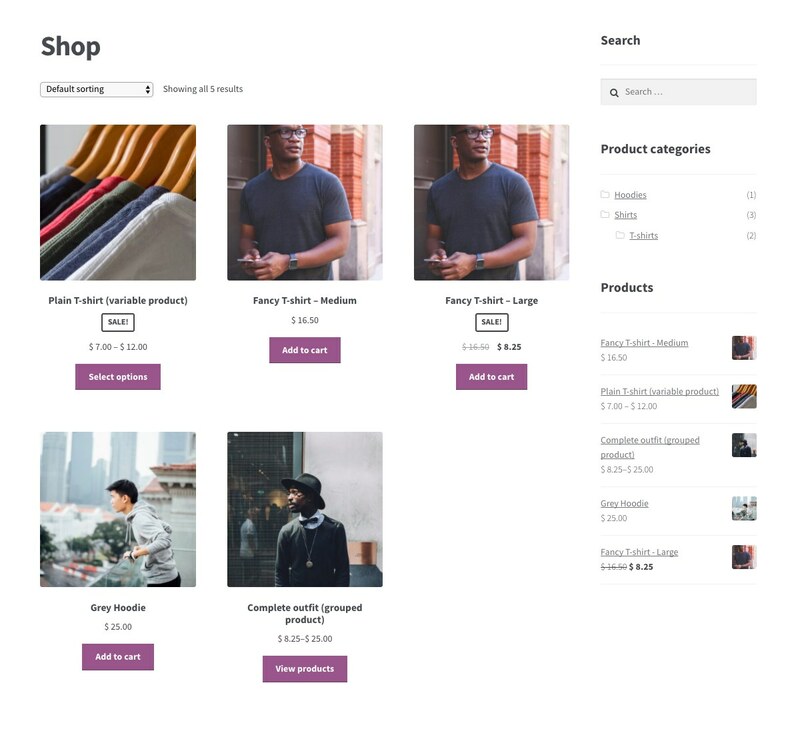 Fixed - Specific product selection field functionality possibly altering the product selection in other similar WooCommerce fields. Fixed - Broken settings link in plugin list entry. It now points to the Sales table page. Fixed - Possible "Headers already sent." PHP warning. New - Added the ability to pick individual products to apply a sale to. Under the "Affected products" metabox, choose "Specific products" from the dropdown to get a multiselect field that allows for searching through all your products. We found Scheduled Sale Manager for WooCommerce and saved my client a lot of time. With this plugin we were able to set up sales for a variety of products and categories from one simple interface without having to edit every one of their items one at a time. Brilliant plugin and a very friendly and helpful developer. Would thoroughly recommend! This plugin is amazing! Before we were constantly sitting at our computers waiting 15 minutes before our sale would go live and edit each product’s price. With more inventory weekly, it’s impossible to keep up. Luckily we found this plugin and it’s very user friendly. There is every option you can think of depending on what kind of sale you need. It’s perfect for our website and we love it! Excellent plugin and works exactly as promised. Very happy to have discovered this plugin. Cheers! Shop view with an active Large Shirts sale.